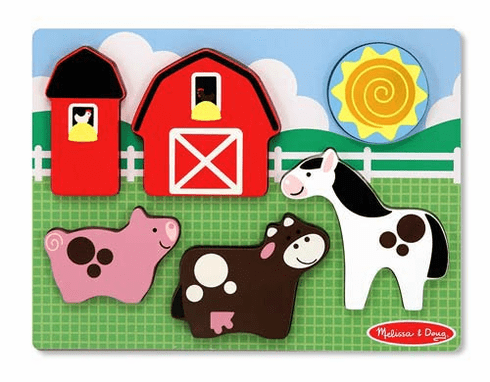 It's easy to keep your toddler busy "down on the farm" with this barnyard puzzle activity! A favorite childhood theme, this farm is great for puzzle and pretend play. Durable wooden puzzle board has matching full-color pictures so that completing the 6-piece puzzle is fun and simple.